The first large symposium for wine-growing in Belgium and the Netherlands, with world-famous participants such as Richard Smart, will present a scientific view about the viticulture possibilities in Belgium and Holland.re. Also ecological, economic and technical aspects are exhaustively examined within this framework. 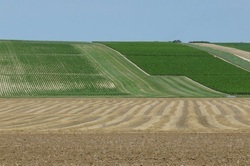 Pichery M-C, BOURDON F. Éléments de réflexion sur quelques impacts économiques du réchauffement climatique sur la filière vitivinicole en Bourgogne. (Elements for reflecting on some economic impacts of global warming on the wine production industry in Burgundy) Seminar:“Réchauffement climatique, quels impacts probables sur les vignobles?” (“Global warming, what will the probable impact be on vineyards?”), 28-30 March 2007. Smart Viticulture conducts canopy management workshops. These canopy management workshops have been specifically conducted to improve various viticulture practices. Dr Richard Smart, head of Smart Viticulture, conducts these canopy management workshops. 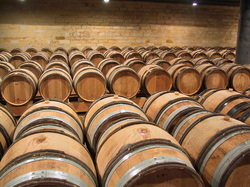 These workshops incorporate illustrated lectures and vineyard demonstrations. The lecture given on factors affecting vineyard yield and wine quality include emphasis on all the important factors having impact on the quality and yield of wine. This lecture has also focussed on factors including aspects of climate and types of soil, clones and rootstocks, pest and diseases affecting the wineyards. 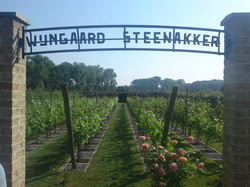 The canopy management workshops of Smart Viticulture also discuss several other lecture topics. 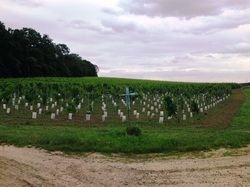 The choice and management of winegrape training systems describes about various canopy management systems that are currently still in practice. These lectures focus on improvisation methods for enhancing the yield and quality of vineyards. The improvisation methods include row spacing, mechanisation and several other methods. The lecture on physiological basis for canopy management incorporates the evolutionary perspectives of viticulture. This lecture also discussed topics like sunlight effect on vine photosynthesis and fruit ripening. Canopy Management Workshops have been the most successful forum for Dr Richard Smart, 'the flying vine-doctor' to deliver his revolutionary message about canopy management. He has given seminars in Australia, New Zealand, Chile, Argentina, Canada, England, South Africa, Spain and Italy to date. 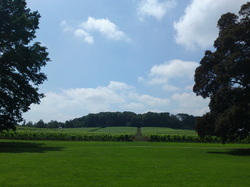 Audiences of up to 120 persons have been accommodated in what is typically a day long program of illustrated lectures and vineyard demonstrations. The following are a series of typical lecture titles which Dr Smart uses at these workshops. 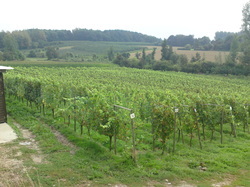 Factors affecting vineyard yield and wine quality. This is essentially an illustrated address which covers factors other than canopy management which impact on yield and wine quality. Included are aspects of climate and soils, varieties, clones and rootstocks, and pests and diseases. This talk normally takes 45 minutes, and allow another 15 minutes for questions. The physiological basis for canopy management: how it improves quality and yield and reduces important diseases. This 45 minute address discusses the evolutionary perspectives of viticulture and how they are reflected in modern vineyard practice. In particular, the effect of sunlight on vine photosynthesis and fruit ripening is presented, as well as sunlight effects on fruit bud initiation and other yield components. The deleterious effects of canopy shade on wine grape composition are discussed, along with reasons how canopy microclimate affects important diseases such as Botrytis bunch rot and Oidium. "The choice and management of winegrape training systems.."
This talk describes the most important canopy management systems in use around the world today, and emphasises those designed to improve yield and quality, and to facilitate mechanisation. Slides are presented to show how the systems look, and guidelines given as to choice of training system based on vineyard vigour, row spacing, mechanisation etc. The systems which are discussed include non-positioned "sprawling" canopies, Vertical Shoot Positioning, Scott Henry, Smart Dyson, lyre and Geneva Double Curtain. Allow for 45 minutes plus questions. The Golden Rules of Viticulture. How they can make you rich and famous. In this presentation, Dr Smart discusses his famous Golden Rules of Viticulture and their relevance to important vineyard decisions of trellis choice and pruning level. Golden Rule number one describes canopy density relationships and their relevance. Golden Rule number two tells about how to decide on the correct winter pruning level for your vineyard based on measurements of pruning weights. The tricky part is to be able to use the two rules simultaneously, learn how to do it! Normally 30 minutes required, and allow for lots of questions. 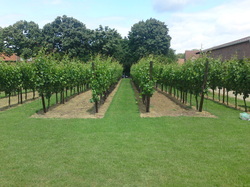 Vineyard quality assurance using VineSmart®.. 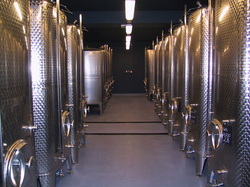 This 45 minute address will introduceVineSmart®, a procedure designed to allow prediction of wine quality pre-harvest! This obviously helps facilitate harvest intake planning, fruit sampling, and can allocate special winery resources to higher quality fruit lots. 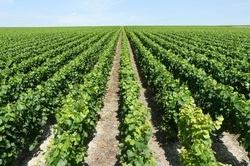 The process depends on ground truthing aerial infrared images and statistically classifying vineyards after veraison. TONG is a special kind of international wine publication. Its aim is clear and its approach original: in-depth and no-nonsense communication about wine. The publication carries no advertising. TONG does not have a fixed group of contributors, but is written by a wide selection of international specialists. It is a quarterly, published at the start of each season. It consists of themed issues of 48 to 56 pages. Themes cover everything from grape varieties to wine growing regions, terroir to the latest vinification techniques and so on. Subscriptions are only available through this website.